Re-Records is a record label initiated by experimental / electro-acoustic duo No One Pulse from Hong Kong. With Re, we don’t solely aim to be an outlet for releasing self-initiated or other affiliated projects, but also for artists and releases we deem interesting. 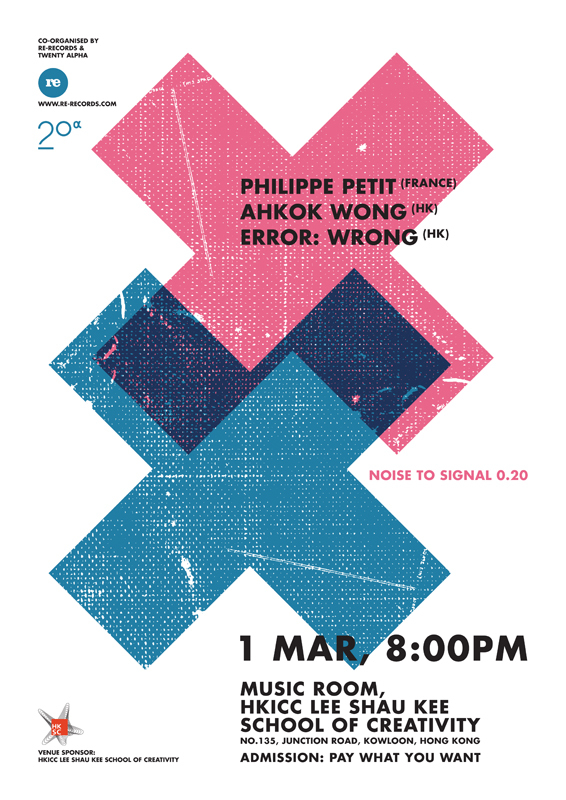 Noise to Signal is a performance series for improvised noise and experimental music within the context of performing art.